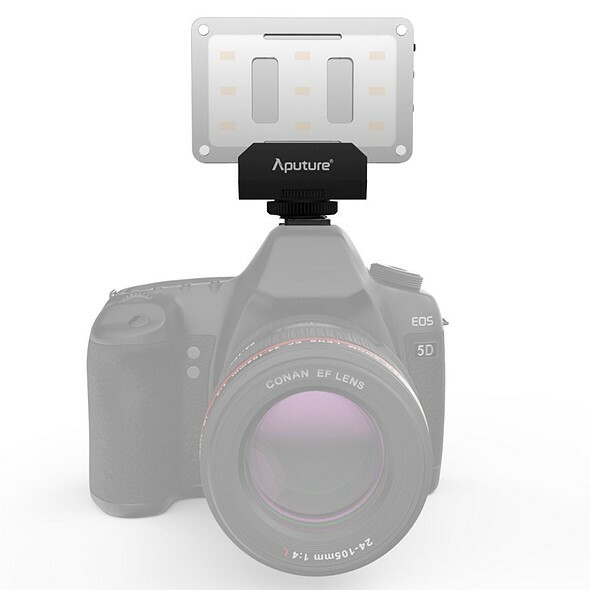 Still photography and video accessory purveyor Aputure has unveiled the Amaran AL-M9, an affordable pocket-sized LED panel. It uses 9 SMD TLCI 99 bulbs, an integrated rechargeable Li-ion battery, offers 9-step brightness adjustment and 120-degree light beam angle, and is a lightweight at 140g. Aputure bills the Amaran AL-M9 as a multi-purpose light for macro photography and ‘run and gun video,’ among other uses. Aputure says the Amaran AL-M9 is the size of a credit card with an 11mm thickness, and offers 350 lux at a distance of 0.5m. The light can be attached to a standard 1/4-20” mount, and includes a pair of magnetic diffusion filters. The Amaran AL-M9 is available for pre-order from Amazon for $45 with a launch date of August 6. Shipping is currently estimated to happen between August 17 and 26, however.